Για εκείνους που θέλουν να απολαύσουν τα αξιοθέατα και τους ήχους της πόλης Νιν Μπιν, το Ninh Binh Hidden Charm Hotel And Resort είναι η ιδανική επιλογή. Από εδώ, οι επισκέπτες μπορούν να έχουν άμεση πρόσβαση σε όλα όσα η πόλη έχει να προσφέρει. Με την βολική του τοποθεσία, το ξενοδοχείο προσφέρει εύκολη πρόσβαση στους προορισμούς της πόλης που πρέπει οπωσδήποτε να δείτε. Με τις υψηλού επιπέδου υπηρεσίες και την μεγάλη ποικιλία ανέσεων, το Ninh Binh Hidden Charm Hotel And Resort δεσμεύεται ότι η διαμονή σας θα είναι όσο πιο άνετη γίνεται. Αυτό το ξενοδοχείο προσφέρει πολυάριθμες εγκαταστάσεις για να ικανοποιήσει ακόμα και τους πιο απαιτητικούς πελάτες του. Ελάτε σε ένα από τα 125 φιλόξενα δωμάτια και ξεφύγετε από τα άγχη της ημέρας με μια ευρεία γκάμα ανέσεων, όπως επίπεδη τηλεόραση, επιπλέον μπάνιο, επιπλέον τουαλέτα, κρεμάστρα ρούχων, δωρεάν ποτό καλωσορίσματος, που θα βρείτε σε ορισμένα από αυτά. Εξάλλου, το ξενοδοχείο διοργανώνει πολλά ψυχαγωγικά δρώμενα έτσι ώστε να έχετε πολλά πράγματα να κάνετε κατά τη διαμονή σας. Απολαύστε τις ασύγκριτες υπηρεσίες και μια πραγματικά περίβλεπτη διεύθυνση στο Ninh Binh Hidden Charm Hotel And Resort. The location was perfect, 500m walk to the town with restaurants and Tam Coc boat tour. Room was nice and clean. Staff was very friendly, especially Ms Trang who help to organise our transportation and tours. The price they offer was reasonable, and the service was efficient and realisable. Highly recommended! Would always book it again - very surprisingly nice and proactive staff, very nice hotel room and the views from 9th floor rooms are very stunning. Pool is okay and in nice condition. One last thing: The gym machines need to be improved as they are just a bit simpler ones. Food and hotel bar are great also with moderate prices! 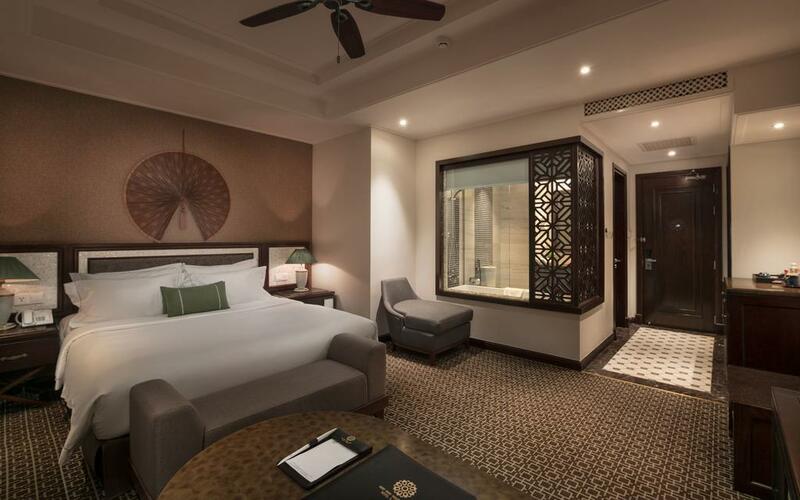 At 1st glance, hotel has the look of a 5star - nicely maintained garden and lawn, pool, spa, well equipped gym, restaurant that served a wide spread of breakfast items and beautiful decor. However, it lacked the finer details of a 5star. The bath tub was badly designed - too high to get in and out and one has to empty long porcelain vase that collects the water that splashed out of the bathtub after 2 showers. The king sized bed is made out of 2 twin beds put together and quilt of smaller size put length wise across so that it covers the width of the bed. Toiletries in the room were incomplete(we had 2 conditioning shampoos and no bath gel. The wrapper of one was frailed ). Only 1 treadmill out of 3 in the gym were working. The service provided by the staff was okay and the view of each room was good. Large & clean room. Nice backyard with mountain view & rice field. Unfortunately, staff (reception) service & breakfast are below average. This hotel was much more than we expected. 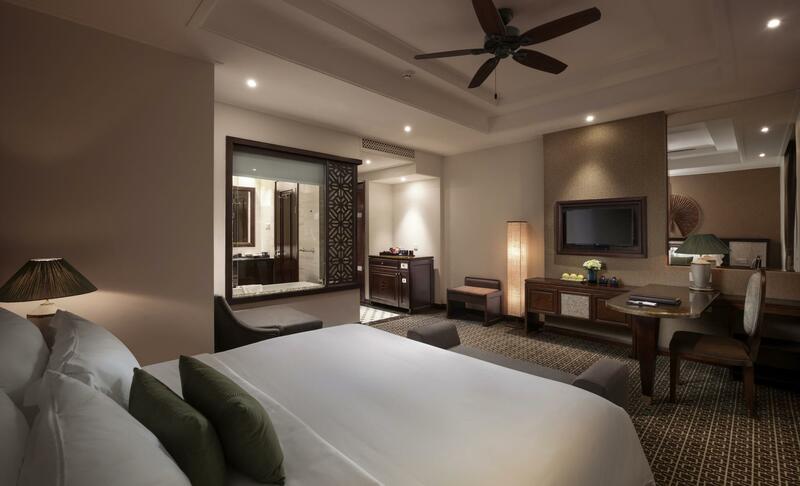 Beautiful room with great view and an excellent staff. The breakfast was excellent but the restaurant is otherwise unremarkable. We found the hotel to be well located for the things we wanted to do. All together, a good choice. Great location that is close to all the tourist attractions. Many restaurants and stores within walking distance. Some staff needs training to be more hospitable. I had called the concierge to ask about nearby churches and mass time because I couldn’t find the information online. I was then told to go find it myself online. If I was able to, I wouldn’t have asked. Spa was mediocre. Wouldn’t recommend it. So glad we chose to stay here during our trip visiting Nin Binh. 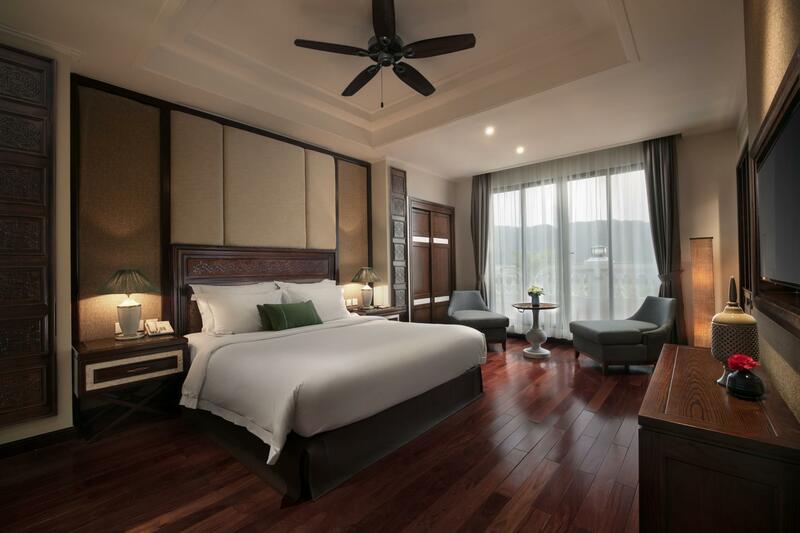 After exploring Tam Coc area, it seems to be the only nice hotel in Tam Coc. The service is great. The staff are all polite, nice and friendly. We got amazing view of the mountain from our bedroom. The pool looks great unfortunately it rained during our stay. We wish we could stay longer!! Highly recommended to others. 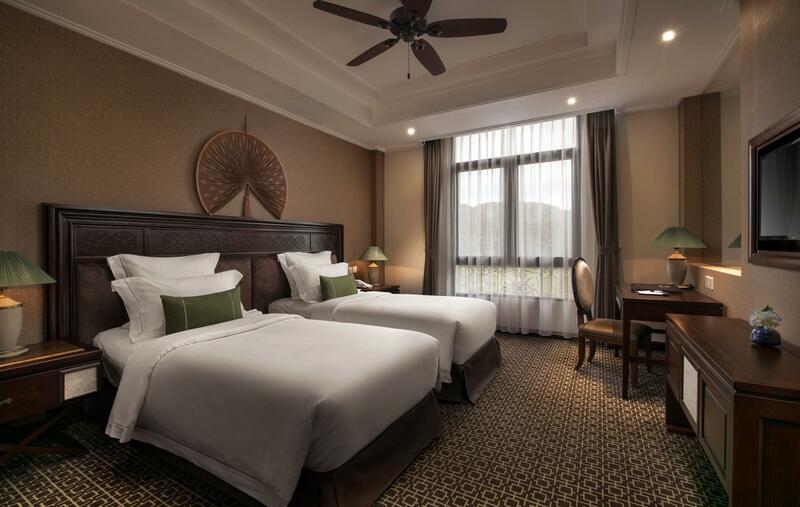 Chose this hotel on a last minute decision to Ninh Binh. Wanted something close to Tam Coc and clean hotel after traveling. It does have marked up tours, massages, meals, etc than other hotels in Vietnam. Room, bed, sheets, and bathroom were clean. Room had views of the Limestone cliffs. Bathroom had a clean tub, but the design was odd. AC worked fine in room. Hallways were humid and warm. Breakfast had more variety, but was overpriced. Pool was clean and nice and cool after exploring. Close walk to street vendors and restaurants. Easy bike to Bich Dong and Mua Cave. Staff was very friendly, accommodating, and helpful. Staff anticipated needs and went above and beyond! The room is fantastic, clean and nice view. Food is delicious too, you can enjoy food at restaurant instead of travelling to city. Finally, staffs are friendly and polite. My parent are satisfy with the stay. Spacious room , very clean close to everything, can hire a bicycle or motorbike to get around, very cheap. Highly recommend to everyone. The shower alone makes this a destination! The staff are wonderful hosts, accommodating and happy to offer advice on how best to explore the area and tourist sites. The Ao Dai (traditional Vietnamese dresses) are an elegant touch of class. Well appointed rooms, breakfast is a good mix of home comforts and interesting and tasty local dishes. A few blocks from town - you can walk, bike or moto home after dinner. What a fantastic hotel... 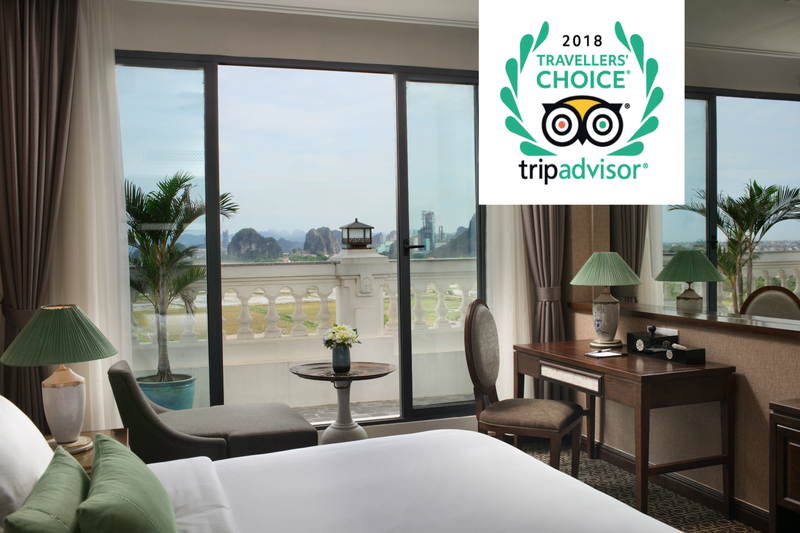 The friendly and accommodating staff; spacious, clean and comfortable rooms; excellent service; delicious food and just the most incredible setting... We had a wonderful experience and would highly recommend to anyone visiting Ninh Binh!! Geschmackvolle Zimmer, reichhaltiges Frühstück, schnelle Internetverbindung, hilsbereites Personal an der Rezeption. Lage: unweit der Bootsanlegestelle. Umgebung nicht besonders schön, weil Hotel neben Bauruine steht. Mietvelos in katastrophalem Zustand zum Preis von 5 $! Nettes 3-Sterne Hotel, niemals aber 4 Sterne. Pech gehabt: hatte Zimmer zwischen 2 Fahrstühlen. Zimmepreis überteurt! we stay here with 3 of our kids, we stay here 4 days. we so miss this place. eventually the kids dont want to check out and feel so sad to check out to hanoi.. our kids love the pools very much, in ninh binh suprisingly the hotel provide so much of gym equiptment. bravo.. location wise : u need walk 7 min to arrive eatery places. but you can rent a bicycle. The hotel is near the embarkation point to the Tam Coc river tour. We arrived in the late afternoon after a long drive from Halong Bay. The young ones immediately went to work out at the gym, while the older ones hang around the pool. The rooms were well appointed and had stunning views of the karst landscape. There was a small boutique in the lobby that had interesting things to buy. After checking in, one staff member, Lan, immediately linked up with me on whatsapp and was our go-to girl for any of our needs for the rest of our stay. Super efficient! One down side to our stay: the restaurant could do with better. We had dinner there and were rather disappointed. 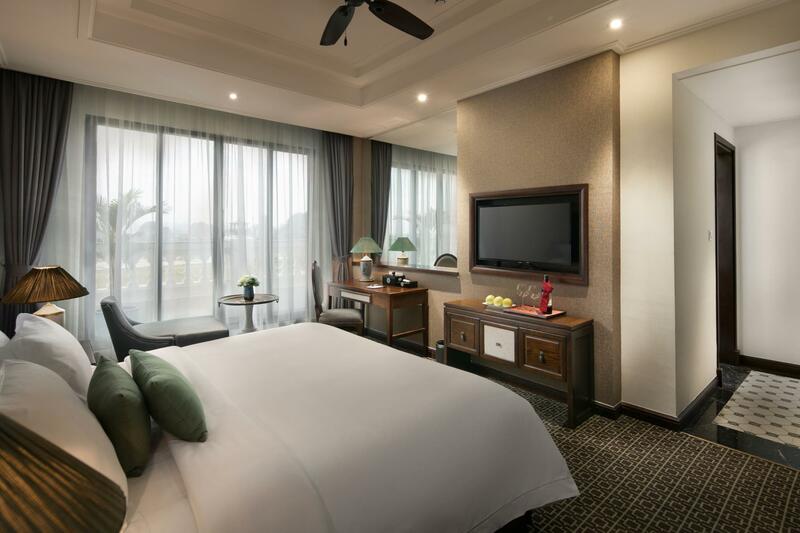 Still, this is definitely THE hotel to stay in when visiting Ninh Binh. Met a very attentive staff at the hotel. Gave us bottles of water before we move off onto our road trip. Attended to our rooming, dining, reception needs, she is everywhere! Very hardworking and kind. A worthy ambassador for the hotel! The staff was highly professional and friendly. Facilities were well-kept, bright, clean, and airy. Breakfasts had decent choices in an open dining area. Swimming pool was beautiful with excellent parasols and staff services. Location is 400 m to town center.